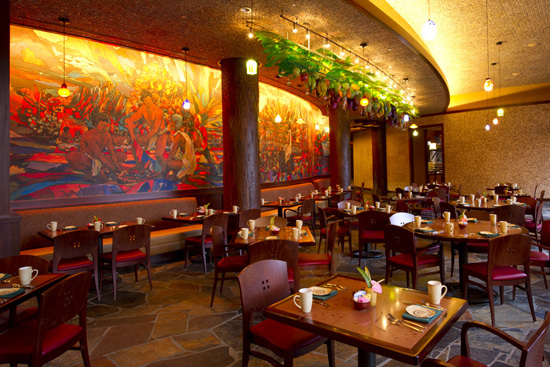 Disney's Aulani Resort and Spa's Makahiki has been a buffet restaurant until now. Makahiki serves breakfast and dinner featuring American favorites as well as some unique island food. Now at dinner you can enjoy an a la carte menu including vegetable spring rolls, Caesar salad, island-style barbecue pork ribs, half-pound Angus bacon cheeseburger and rib-eye steak. For dessert indulge with Hawaiian chocolate cake, apple pie with vanilla ice cream or New York-style cheese cake. But don't forget the Kona press pot coffee.